--- You don't need to move forward with hatred, you don't need to let hatred swell your grievances. ⠀⠀⠀⠀⠀⠀⠀ When the darkness swallows up your goodness. When the nightmare weakens your bravery. ⠀⠀⠀⠀⠀⠀⠀ Dear, always remember to let you hope for tomorrow. **"Let the sunrise give you a clear picture. 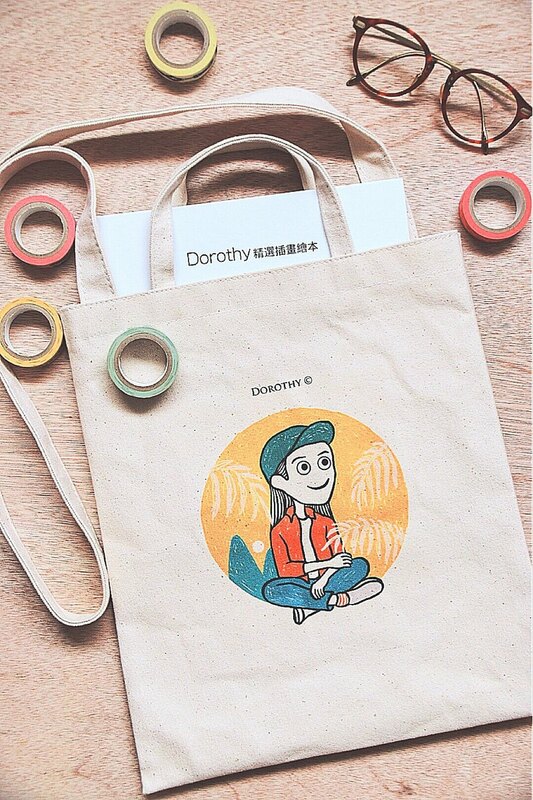 "** --- https://c2.staticflickr.com/2/1858/30385794818_4e913309be_o.jpg The canvas bag is made of 12-ounce thick canvas. It is thick and can be slanted back or portable. It is suitable for people who like to take a book or a laptop to go for a walk or work. https://c2.staticflickr.com/2/1845/29316812917_7fc67de4a0_o.jpg Change the interior background to a salon photo ~ the color based on yellow and green makes the atmosphere lively. https://c2.staticflickr.com/2/1870/29314428557_d1e5836e4d_o.jpg It can hold 12-inch notebooks, A4 paper and other documents. In addition, this product has an inner bag, which can hold small objects such as mobile phones, keys or portable mirrors. **Canvas merchandise shipping instructions** / Settlement at 17:00 every Friday, shipped once a week (in case of national holidays will be delayed). **Canvas merchandise notes** / Small black spots on the cloth surface are normal. If you like white cloth, please do not buy. / The computer color is slightly different from the actual color. / Since the canvas is sizing, please avoid washing with water to avoid washing water. / Small stains on the surface can be wiped off with an eraser to remove dirt. / Deep dirt is recommended to be removed by local cleaning (recommended hand wash or use a fine brush), brushed in small areas of water, after washing, you must try to spread the shade and avoid direct sunlight to avoid wrinkles. / Please use a neutral detergent without bleach or phosphor to dilute with water.